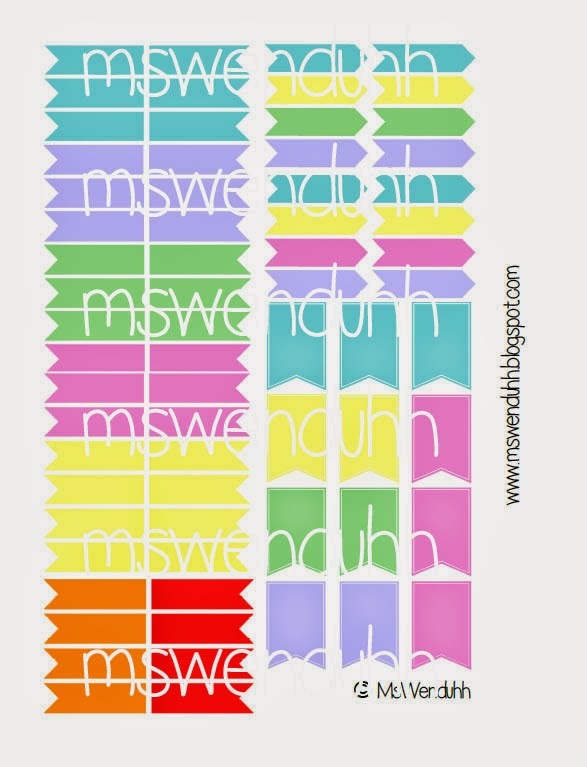 I just made these cute stickers to use in my Erin Condren planner! It includes occasions like parties, pay days, out to dinner, date nights, appointments, and family nights. The arrow flags are more for tasks like to clean, to do, to go, to call, to buy, and to write. 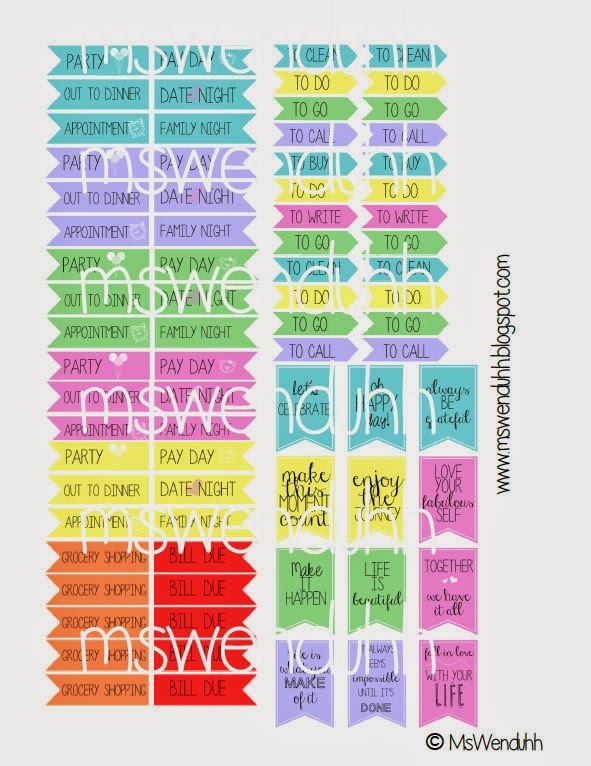 And lastly the banner flags are just little quotes and such to decorate into our daily planner boxes. The first column of flags to mark occassions and important days measures about 1.5" wide in order to fit inside the EC boxes perfectly. The tasks stickers (to do, go, buy etc.) measure about 1.3" to fit in the weekly goals sections, but you can also fit them inside the boxes as well. The flag/banners are about 3/4" to just mark inside your weekly boxes as little reminders and inspiration for your days. My weekly spread using these stickers, as you can see I am low on ink, cut them out, and simply used glue stick to put these into my planner. In the file there are pre-written flags as well as blank ones so you can write your own planner tasks! 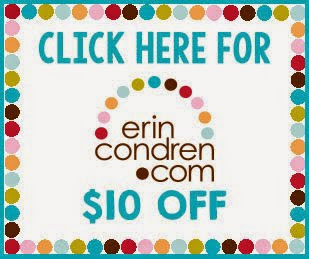 Of course you don't need an erin condren planner to use these as you can totally use it in your filofaxes/kikki-k/ and any other planner you may have. Use full adhesive sticker sheets and cut out. Or print on regular paper and run them through your sticker maker, or simply use adhesive tape or a glue stick. I recommend using a paper cutter and cutting each section first and going down the edges first then after that you can just use scissors to cut off the little triangular flag part. Please do NOT share the actual file or file link. Instead please send your friends here to download my free printables, thank you. The "Download Here" link (towards the bottom of her post) is the link you are looking for to print. What sticker sheets is everyone using? Hi! These are beautiful, do you have plans to make them in different colors? Thank you for your generosity!! Beautiful blog! you are such a blessing! thank you for sharing these :) they are sooo cute!! Thanks for sharing these. I am using sketch pens and making shapes and all the time forget my coded colours. This is a life saver.